Gawker reports that BuzzFeed deleted posts under pressure from its own business department. An internal review found at least 3 instances in which complaints from the site’s business and advertising departments led Editor-in-Chief Ben Smith to delete posts by staff. The 3 deleted posts criticized or mocked an Axe body spray ad campaign (a brand of Unilever), Pepsi’s Twitter account and Microsoft’s Internet Explorer browser. Unilever, Pepsi and Microsoft all are major advertisers with BuzzFeed. TechCrunch reports LinkedIn’s launch of Elevate, a paid mobile and desktop app for social media management. The app suggests articles to its users based on algorithms from its news recommendation services Pulse and Newsle as well as “human curation”. Users are then able to schedule and share those links across LinkedIn and Twitter. The app will be available to users in the 3rd quarter of this year. Ernie Smith, the social media journalist for Associations Now provides an analysis of Google’s implementation this week of an update of its algorithm to favor mobile-friendly websites and its impact on trade associations. Smith provides things for associations to consider as they redesign or retrofit their mobile unfriendly site. Smith notes the challenges facing associations who have lots of legacy content on their websites. William Powers and Deb Roy of MIT’s Laboratory for Social Machines provides insights on Medium into their research of the town of Jun in southern Spain. For the last four years, the town has been using Twitter as its principal medium for citizen-government communication. Leading the effort is Jun’s Mayor, José Antonio Rodríguez Salashas who has been recruiting the town’s 3,500 residents to join the social network and have their Twitter accounts locally verified at town hall. Speaking of municipalities, the City of Philadelphia unveiled on its website this week a real-time analytics tool showing how people are visiting city websites. This tool may promote better civic engagement between staff and residents. Dave Weigel reports in Bloomberg Politics on the launch of the app Clear by Ethan Czahor, the former CTO for Jeb Bush’s presidential exploratory committee. The free app which works as an add-on to Twitter, Facebook, and Instagram allows users to scan their social media for a series of problematic terms that could harm their public reputation in the future. Czahor resigned his position with Jeb Bush earlier this year after it was discovered he had sent tweets disparaging women. Czahor believes that the app can help millennials avoid repeating his fate. These were some of Arc 3’s most interesting reads in digital and public affairs over the last week. What were your favorite stories? Let us know if there is a neat story that we missed! We’d love to hear from you. ZDNet reports that LinkedIn bought Lynda.com for $1.5 billion. LinkedIn’s purchase of the twenty-year-old subscription-based online learning portal is a clear sign of the professional social network’s intention to provide training opportunities for specific career skill sets to its members. In Forbes, contributor Robert Hof provides a thoughtful analysis of the rise of online video in digital advertising. Hof points out that TV-like online video ads are driving much of the growth in the ad industry. Hof forecasts that the video ads will make our smartphones more resemble our televisions. 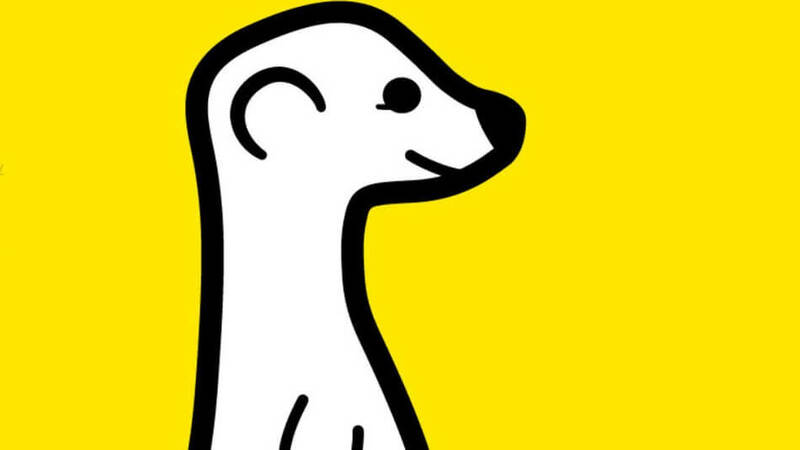 Ernie Smith, the social media journalist for Associations Now asks the question of whether associations should care about the live-streaming video app Meerkat. Smith points out that Meerkat’s ease of use for live-streaming video makes it a valuable tool for capturing key moments at association conferences. On DigitalGov, Sara Smith, the Social Media Strategist for the National Institute on Drug Abuse, provides her agency as a case study for the benefits of having social sharing buttons on your government website. Smith notes that NIDA’s addition of sharing toolbars to their website has resulted in a rapid increase in social shares and social media referrals to the site. The agency website is now averaging 20k social shares a month in 2015. Western Journalism and Mashable report how Hillary Clinton’s presidential campaign logo quickly became fodder for critics on social media. Clinton’s political critics, dismayed supporters and graphic designer aficionados panned the logo as amateurish and unprofessional. The Columbia Journalism Review provides an insightful analysis of the economics of the podcast boom. Author Ann Friedman describes how the intense loyalty of podcast listeners make this a strong medium to reach niche audiences. Marketing Land reports Twitter’s launch of Curator, a real-time search & display tool for publishers. The new tool gives publishers the ability to find relevant content from Twitter and Vine and display it on web, mobile, television and other offline media. The Hill reports on how Twitter may be in hot water with one member of the FCC over a decision this month to block Meerkat’s access to its social graph. The regulator hinted that Twitter might have been operating unfairly by imposing limits on what it shares with the live-streaming company. Associations Now looks a what millennials’ news consumption habits mean for trade associations. The article examines a recent report that found that a majority of millennials don’t pay for news and end up getting most of their information from Facebook and YouTube. In Backchannel, former White House Communications Czar Dan Pfeiffer offers predictions on how the live-streaming video app Meerkat is going to change the 2016 Election for campaigns, reporters and voters.